The view from the plaza east is along the same axis that becomes the Champs Elysées. 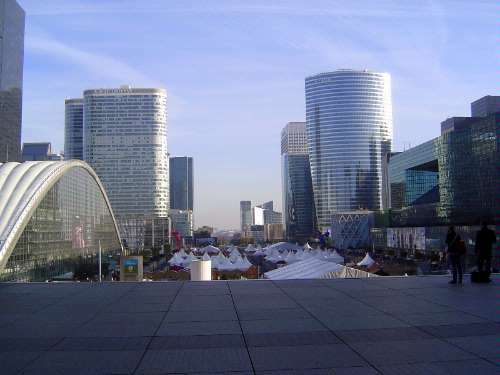 Here some 1,500 companies have come in search for modern office space, of which La Défense offers about three million square meters. The plan is fundamentally based on Le Corbusier, who advocated the separation of people and cars (here underground) and a reliance on towers to permit maximum intervening green space.